Star Prosecution witness Linda Kasabian returned to Hall of Justice today to contradict the testimony of Susan Atkins, Patricia Krenwinkel and Leslie Van Houten. LOS ANGELES, Feb. 24 – The girl whose testimony led to the conviction of cult chieftain Charles Manson and three of his girl followers for the Tate-LaBianca murders took the witness stand in Los Angeles Superior Court again today to contradict the “confessions” of the three girl defendants. Twenty-one-year-old Linda Kasabian, on the stand for 18 days during the guilt phase of the marathon trial, testified today she did not discuss the arrest of Manson “family” member Robert Beausoleil nor ways of getting him out of jail. “The bodyguards put a lot of fear into me,” she said, “so I started thinking somebody might want to kill me.” She admitted however that there had been no attempts on her life while she was in California or while she was living in New Hampshire with her husband and two children. Contradicting the testimony of the three girl defendants again, Mrs. Kasabian said that no one had taken LSD on either the night of the Tate killings or on the following night during the killings of market owner Leno La Bianca and his wife, Rosemary. She admitted however that Charles “Tex” Watson was under the influence of “maybe speed” the night the LaBiancas were killed. She said that Watson, who has yet to face trial on the murder charge, was “pretty wild” during the Tate killings but was “pretty quiet” on the second night of slaughter. Tuesday, a rare turnabout placed Manson’s chief prosecutor in the witness chair, and while there, he conceded that he now seeks defendant Atkins’ life although he obtained Manson’s indictment by promising to spare her. Dep. Dist. Atty. Vincent Bugliosi unexpectedly took the stand during the defense portion of the penalty trial in the Tate-LaBianca murders and described the “deal” he made with Miss Atkins for her testimony before the County Grand Jury. 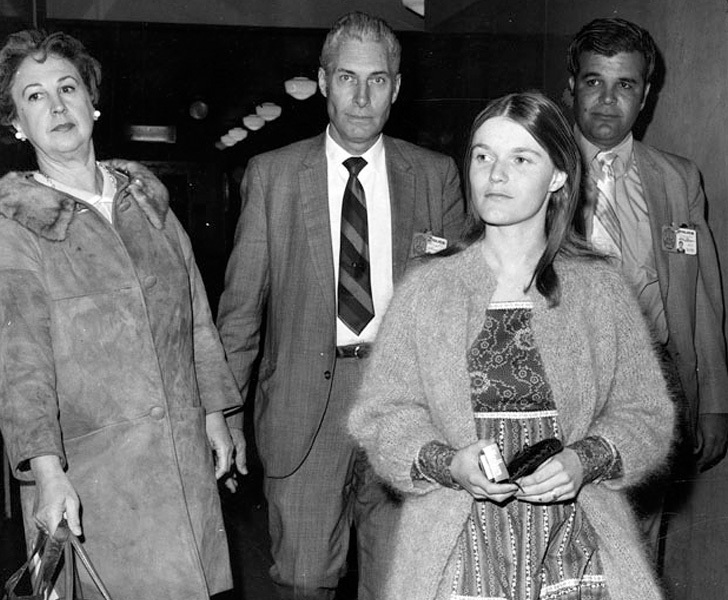 Her testimony led to the indictment of Manson and four of his family members in addition to Miss Atkins. Bugliosi testified Tuesday that he promised Miss Atkins not to seek the death penalty for her if she told “the complete truth” before the grand jury. However, she lied before the grand jury by saying she did not stab actress Sharon Tate, Bugliosi testified. That her testimony led to the arrest of the others had no bearing on his revised decision to seek the gas chamber for the 22- year-old admitted murderess, he said. He also is seeking execution of the other three involved — Manson, Miss Van Houten and Miss Krenwinkel. The fifth person charged with the murders, Charles “Tex” Watson, has yet to face trial. The 38-year-old housewife-victim had been stabbed 41 times. Her husband was also killed by stab wounds.